Among more than 30 countries and regions (and some 400 wineries), this book explores the classic destinations, reveals hidden gems in well-known wine country, and celebrates emerging wine-producing locations. Where to Drink Wine travels country-by-country, region-by-region highlighting the must-visit wineries in each location. 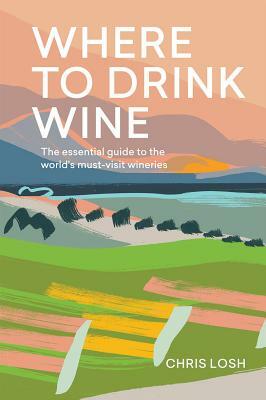 Its the definitive guide for the travelling wine-lover. Practical and evocative, colourful and comprehensive, its information covers the traditions, innovations and character of each winery and will help you decide where to go, the best tour for you, and what to expect when you get there. From Bordeaux to New York State, Tuscany to China, let Where to Drink Wine tempt you to tour the world, estate by estate. Chris Losh is the editor of drinks magazine Imbibe and has been writing about wine and spirits since 1995. He began on Wine and Spirit International, before moving on to edit Wine Magazine. In 2007, he helped to set up both Imbibe magazine and the Sommelier Wine Awards, and has spent much of the last few years eating, drinking and listening to French sommeliers talk about minerality. In 2009 he was shortlisted for the Louis Roederer Feature Writer of the Year.